This course is for 16-22 year olds who are interested in a career in racing. Following a successful interview you will embark on this fourteen week programme where you’ll learn everything from horse riding to yard work. 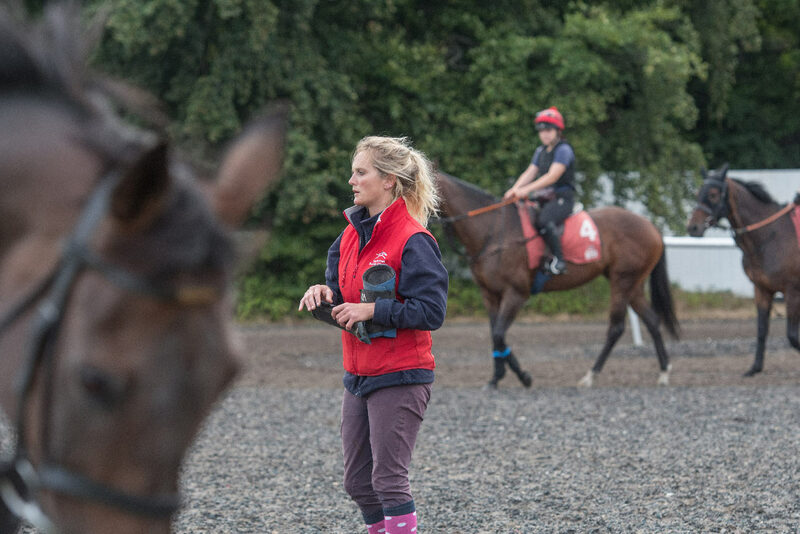 After the 14 week course we’ll find you a full time paid job in a working Horse Racing Yard where you can continue your training, begin an apprenticeship and achieve your Level 2 Diploma, fully supported by The British Racing School. Tuition is free for EU/EEA residents. Accommodation and meals for the duration of the course are provided at a cost of £562.50 for nine and fourteen week courses and £250 for four week courses. There is currently a bursary available to cover a percentage of this cost if the person comes from a household with a low income. Please contact Kieran Kourdache or call 01638 675905 to seek advice or support regarding bursary eligibility. To view our full policy on Bursary please click here. See below for the answers to some of our most frequent queries. And if you can’t find an answer to your particular question, don’t hesitate to give us a call on 01638 675905 or email careers@brs.org.uk, we’re here to help! What happens if I do not meet the weight requirements or I do not wish to ride? I have a degree, can I still apply for the Foundation Course? I am not from an EU or EEA Country, can I still apply for the Foundation Course? Once I have applied, what happens next? We will process your application and if you are eligible you will be invited (usually by email) to attend an interview at The British Racing School. This will give you an opportunity to view the School. You will have an interview, typically with the Director and the Senior Yard Instructor, and it is a good idea to bring your record of achievement and any references that you have obtained. If you are already working in a racing yard it is important that you obtain a reference from the Trainer PRIOR to attending the interview. After the interview you will be informed within seven days if you have gained a place. If I am eligible will I automatically get a place at the British Racing School? No, we have more applications for the Foundation Course than we have places. You will need to demonstrate to us that you are keen to work in racing and willing to learn. I already work for a Racehorse Trainer, can I still apply for the Foundation Course? Yes, in fact, under the Rules of Racing, if you are aged between 16 and 18 years and want to work in a Trainer’s yard you are required to undergo this training. If you are working in a Trainer’s yard we would suggest that you contact Kieran Kourdache on 01638 675905 to discuss your situation. Why should I pick the British Racing School? 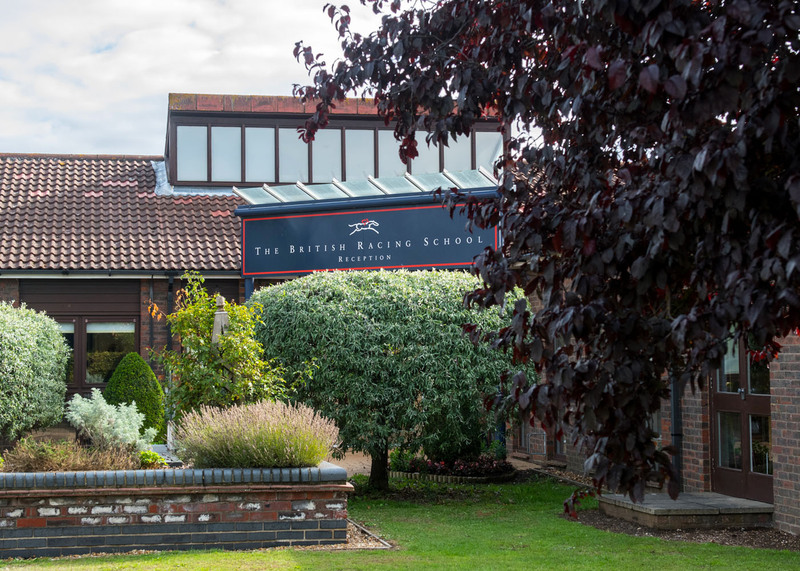 The British Racing School is a purpose built training centre on the outskirts of Newmarket, the Head Quarters of British horseracing. It is set in 120 acres of Suffolk countryside and is the only purpose built training facility of its type in Britain. The facilities include an indoor school, an outdoor arena, a 2½ furlong round all-weather gallop, seven furlong straight all-weather and grass gallops, 50 acre grass gallops, stalls and schooling fences, Equicisors and horse simulators, radio instruction system while riding, video recording of riding for performance analysis and classrooms with state of the art technology. See our Facilities page to learn more. Should we bring anything other than our riding clothes? Yes, we would advise that you bring casual clothes for the evenings and weekends. Also you may wish to bring smart clothing as you may get the opportunity to go racing while you are at the School. If you are accepted onto a course you will be sent joining instructions which gives a full kit list. Do I have to pay for accommodation and meals? Yes, you will be asked to pay £562.50 to contribute towards the cost of accommodation and meals for the duration of your course, this is the same fee regardless of whether you complete a 9 or 14 week option. If your household income is low you may be eligible for a bursary to cover most of these costs, find out more by contacting Kieran Kourdache kieran.kourdache@brs.org.uk or call 01638 675905. You will be provided with breakfast, lunch, evening meal and supper. All meals have been passed by our nutritionist. There is a tuck shop which sells snacks but if there is a particular food type that you like you can bring this. There is a toaster and microwave in your common room. Is there a TV that we can watch? Your common room is equipped with a television with Sky TV. You also have WiFi access, a pool table and some books on racing you borrow. You may wish to bring your laptop/tablet but this is done so at your own risk. The British Racing School cannot be held responsible for your personal belongings. These can only be used during your lunch hour or in the evenings after lectures. I have tried to contact the British Racing School by telephone but have been unsuccessful, what can I do? If you have been unable to speak to a member of the recruitment team despite leaving a message please contact the Operations Director, Duncan Gregory on 01638 675902 and state that this has been the case. Funding for the foundation training course is provided, in part, by the UK government. Applications from overseas are also welcome and for EU and EEA residents the training is free of charge (though please note our current government contract does not allow us to take students from Northern Ireland). If you are not from an EU/EEA country you can still attend the School but the full cost of the course would need to be met by the applicant. For more information please contact Kieran Kourdache on 44 (0)1638 665103. If you are from an international Jockey Club, authority or training centre and would like to learn more about The British Racing School International Jockey Training please click here. This is fully residential at The British Racing School in Newmarket. Your next step is to fill in an online application form which you can find here.